We may be reaching Round 5 of the Euroleague but this is only the home side’s second game at home this campaign. 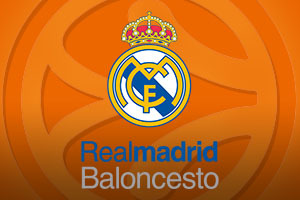 With that in mind, their 1-3 record isn’t the worst and they face the Euroleague champions who are yet to win on the road this campaign, with Madrid holding a 2-2 record. When it comes to hurting the opposition, players like Vladimir Golubovic, Kyle Weems and Roddy Beaubois have been the best player for the French side. They will really need to step up their game in this clash if they are looking to punish their opponents. Mardy Collins and Jeremy Leloup have been poor so far this season for the hosts but if they can find some form, the French side may look forward to the second half of the regular season. With a win from the only home game they have played so far this season, Strasbourg will be looking for home comforts again on Friday night. Madrid have lost two out of two on the road so far this season and they were lucky to grab a win against FC Bayern Munich last week. This suggests that real Madrid are not in the best of form but equally, they have the players that can quickly bounce back to form at any point. With Sergio Llull, Rudy Fernandez, Jaycee Carroll and Felipe Reyes, who was classes as the MVP in Round 4, they have the players that can hurt the opposition. In fact, it is likely that the squad depth and rotations that will ensure the away team takes care of business in France on Friday. 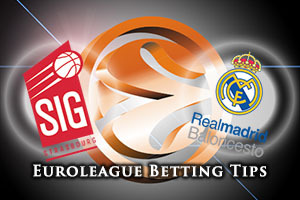 You can find Real Madrid at short odds so look to take Strasbourg with a +11.5 at odds of 1.90 for this game. If you are looking to take the Over/Under market on in this game, you should look to go OVER 157.5 available at odds of 1.90 for the Friday night game.